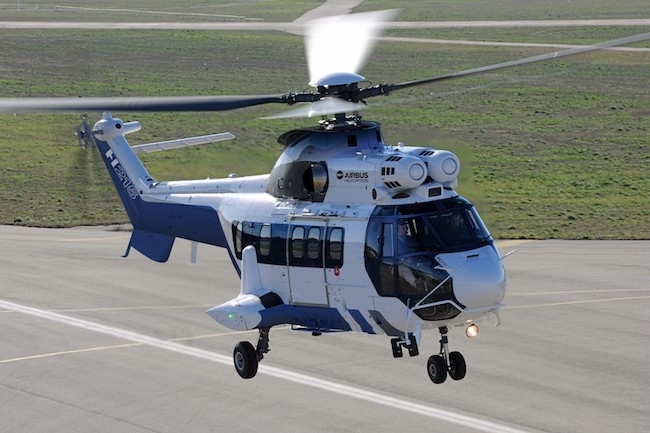 Airtelis, with the support of Nova Capital Group, has signed a contract with Airbus Helicopters for the purchase of three H215 heavy helicopters, including two options. These aircraft will complement Airtelis’ existing fleet of two H225s. The first delivery is planned for later this month. A variant of the Super Puma family, the H215 will be equipped for aerial work operations in support of Airtelis’ power line construction and maintenance missions. “We are pleased to be adding a new member of Airbus Helicopters’ Super Puma family to our fleet” said Stephane Delaye, CEO of Airtelis. “The H215’s load capacity, cost-effectiveness and OEI performance are ideal for the highly technical aerial work missions that we perform” he added. Airtelis carries out helicopter maintenance work on high and very high voltage power lines as well as on big infrastructures, load transportation, structure assembly, repair and maintenance. With over 60 years of experience performing utility helicopter missions, Airtelis has developed a specific expertise and solutions and provides its customers with the highest safety and productivity levels available. Their experience is at the service of power grid operators and their contractors. “We are sure that the H215 will be an asset to Airtelis with its excellent availability rate, optimized maintenance and competitive operating costs and we are pleased that they are placing their trust once again in our products” said Olivier Michalon, Senior Vice President, head of Europe at Airbus Helicopters. Helicopters’ acquisition will be financed by Airtelis through a sale and leaseback transaction with Nova Capital, acting as exclusive operating lessor. “We are pleased and excited to be the first helicopter lessor worldwide to add in the coming weeks the H215 in its fleet. We are delighted to support Airtelis’ exceptional recent business growth, introducing this new versatile and highly efficient asset in our portfolio” said Olivier Piot, Chief Executive Officer of Nova Capital Group. The H215 is a twin-engine, versatile and robust helicopter that combines advanced avionics and a reliable platform for rugged multi-mission capabilities. Its baseline configuration has been optimized for aerial work missions and standard features include proven Makila1A1 engines, the latest generation flight management system, and the most modern technologies. This includes a glass cockpit avionics system and the renowned 4-axis autopilot from Airbus Helicopters’ advanced H225 – which provides flight envelope protection, unrivalled precision and automatic hover stability in even the harshest operating conditions.